The Medicare Rural Hospital Flexibility Program (Flex Program) was established through the Balanced Budget Act of 1997. It is a national program that includes Wyoming and 44 other states. In essence, the Flex Program is comprised of two components — grants to assist states in implementing state-specific program activities and an operating program that provides cost-based Medicare reimbursements to hospitals that convert to Critical Access Hospital (CAH) status. The U.S. Department of Health and Human Services (DHHS), Health Resources and Services Administration, Office of Rural Health Policy, administers the grant program. The operating component of the program is administered by the Centers for Medicare and Medicaid Services (CMS), also located within DHHS. QUALITY IMPROVEMENT (QI) is a focus area of the Flex Program. The intent is to encourage and support CAHs in publicly reporting and improving care, services, and patient satisfcation. All Flex Programs across the U.S. participate in the Medicare Beneficiary Program (MBQIP), including Wyoming. Through this effort, CAHs focus on patient satisfaction, flu vaccinations, outpatient services, and emergency department transfers. Other QI areas are also supported such as patient safety culture, readmissions, and falls. FINANCIAL & OPERATIONAL IMPROVEMENT (F/IO) are also focus areas of the Flex Program. Activities here include: F/O in-depth assessment and planning, revenue cycle management and operational improvements (e.g., improving productivity benchmarks, supply management systems, workflow). 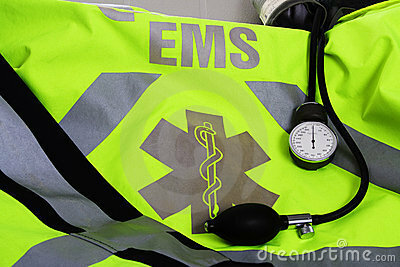 EMERGENCY MEDICAL SERVICES focuses on addressing the EMS service and capacity needs of rural healthc communities. That may be through training, assessment, service development, and increasing access to community EMTs and paramedics. Much of this work is done in partnership with the Office of EMS. Population Health Improvement focuses on improving the health of rural communities through population health management; chronic disease preventiona and improvement; communication and collaboration between different health care providers across the continuum of care; improving patient experiences when transitioning from one care setting to another; and assuring access to services in all rural communities. The Wyoming Flex Program is administered by the Wyoming Department of Health, Public Health Division, Office of Rural Health. Program funding of about $450,000 per year is provided by the U.S. Department of Health and Human Services, Health Resources and Services Administration, Office of Rural Health Policy. Over the past 17 years of the program's existence, the WY Flex Program received over $6.5 million. geography can be characterized by the Great Plains in the east, the Rocky Mountains in the west, and ntermontane Basins (the area between mountain ranges), and it is considered an outdoor recreation destination resulting in large population swings depending on the season and location. Wyoming’s hospitals consist of 27 acute care hospitals, 2 Veterans Affairs hospitals, 1 behavioral health hospital, and 1 rehabilitation hospital. Of the acute care hospitals, 16 are CAHs and 11 are prospective payment system (PPS) hospitals. There is one acute care hospital for every 21,578 people and one hospital for every 3,626 square miles of land. The state continues to rank 8th nationally in its number of hospital beds per 1,000 population (2011). Unlike almost all other states, the distance between hospitals, both PPS and CAH, in Wyoming typically exceeds 35 miles (62% of all hospitals). In addition, many of these miles are on secondary roads or in mountainous terrain.